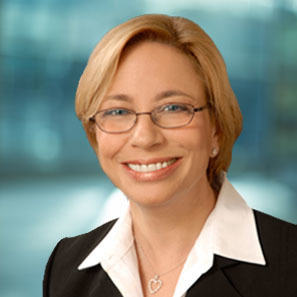 White and Williams is saddened to share the loss of our friend and Counsel with the firm, Frances Zujkowski. Fran, who served her clients with integrity and dedication for more than 40 years, passed following a courageous battle with breast cancer on April 3, 2019. A Brooklyn native, Fran practiced in the Real Estate and Finance groups in the New York City office. She was a mentor to many and enjoyed guiding young lawyers on developing their legal skills and building client relationships. Fran was recognized by everyone who knew her as a dynamic, caring, loyal, funny and smart woman. She leaves the world a better place having been here. Fran is survived by her husband of 45 years, Edward P. Zujkowski, her aunt, Regina Montanino, her sons, Joseph V. Zujkowski and his wife Samantha Sims of Brooklyn, NY, and Michael J. Zujkowski and his soon-to-be wife, Stephanie Kangas, of New Haven, CT, and her two beloved granddaughters Zoe and Tess. Our thoughts are with her family during this difficult time. Relatives and friends are invited to a traditional viewing at Marine Park Funeral Home, 3024 Quentin Rd, Brooklyn, NY 11234, on Thursday, April 4th (7 – 9pm) and Friday, April 5th (2 – 5pm). A mass of Christian burial will be held at St. Bernard Clairvaux Church, 2055 East 69th St., on Saturday, April 6th at 10am. Additional information is available here. In lieu of flowers, donations can be made in Fran’s honor to Memorial Sloan Kettering, Cycle for Survival, or Kids in Need of Defense (KIND).